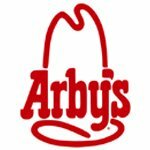 If you are heading out to lunch (or dinner) today, I wanted to remind you that it is Freebie Wednesday at Arby’s! Today you’ll receive a FREE Beef ‘n Cheddar Sandwich with any drink purchase. No coupon is necessary, but this offer is only good at participating locations, so be sure to call ahead or ask at the counter before placing your order.